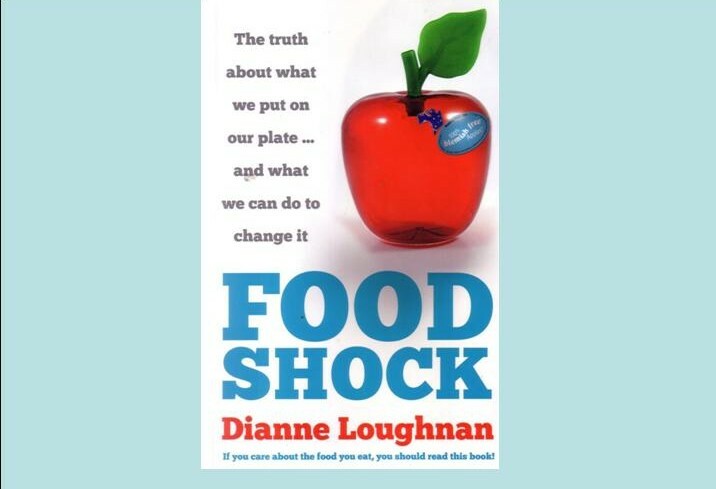 The book “Food Shock” by Dianne Loughnan has a compelling secondary title “the truth about what we put on our plate… and what we can do to change it.” This immediately gives the reader the idea that there is something wrong with the nation’s food. It is an alarming proposition both for consumers and for farmers growing crops and livestock. The later should be concerned as it means the fundamentals of the businesses they and their families are working in are being called into question. That is the author’s objective. Loughnan’s approach starts off in a straight forward way by investigating “pesticide and herbicide use in Australian food production”. But it is not long before some readers will start to feel a little uncomfortable about the direction she is heading – a bias against conventional input methods soon becomes apparent and some information errors become apparent. Crop chemicals are quickly categorized as potentially dangerous with government not being quick enough to apply the precautionary approach about their use. Chapter two which investigates food processing and preservation is the most compelling in the book. It provides interesting and little known details about processing methods and their impacts on food quality characteristics like taste. Her contention as the chapter ends is that the current food supply and processing system works for the way “…our food must travel, must last and must look good and we need chemicals to facilitate this. But are there alternatives?” From this point on the reader knows this book is about presenting a case for organic, small scale production methods. This might have been a reasonable approach had Loughnan presented some key facts about Australia’s farmers, commodities, domestic food consumption and processing and export markets. To start with while Australia has approximately 130,000 farmers based on the definition of the Australian Bureau of Statistics that a farm businesses earns in excess of $5000 per year from food or fibre production, the reality is around 40% of all farmers are not professionals but opportunity and lifestyle operators. The conditions and motivations of these farmers versus professionals are completely different. To start with most professional family farm businesses are producing commodities – grains and meats, which are not part of the local, small scale, organic, biodynamic or ‘slow’ food systems. And that is the direction the author would like to see farming in Australia head. The case for more biological based farming methods is a strong one and many professional farmers are heading in that direction as indicated by widespread adoption of no-till, controlled traffic, variable rate cropping and holistic grazing management of livestock. No data is provided about these changing methods and numbers involved, instead Loughnan presses the case for small scale organic or slow food systems of farming. Food from these systems is increasingly popular amongst environmentally and ethically aware consumers, but generalisations about the quality of the food processed outside them can be dangerous and misleading. A classic example is her statement “Organic meat often tastes better because most organic meat is grass-fed, not force-fed an unnatural mix of grain and other by-products.” Here she ignores the fact that most of southern Australia’s yearlings and bullocks are finished on pasture just like those on certified organic farms and even when cattle are lofted, it does not involve force feeding. The fact that ruminants willingly eat a range of food processing by-products as well as grains and silages is one of the great contributions these animals make to agriculture world-wide. Without ruminants consuming these ‘left-overs’ they would be confined to landfill or to rot. Nor does she say that finishing cattle on grains and silages is an important method for providing consumers with the meat quality attributes they expect and certified organic cattle producers will use the same system when inadequate pasture is available for their stock. Her chapter about meat production “Addicted to drugs” contains too many generalisations and not enough facts to help readers understand the implications for food. 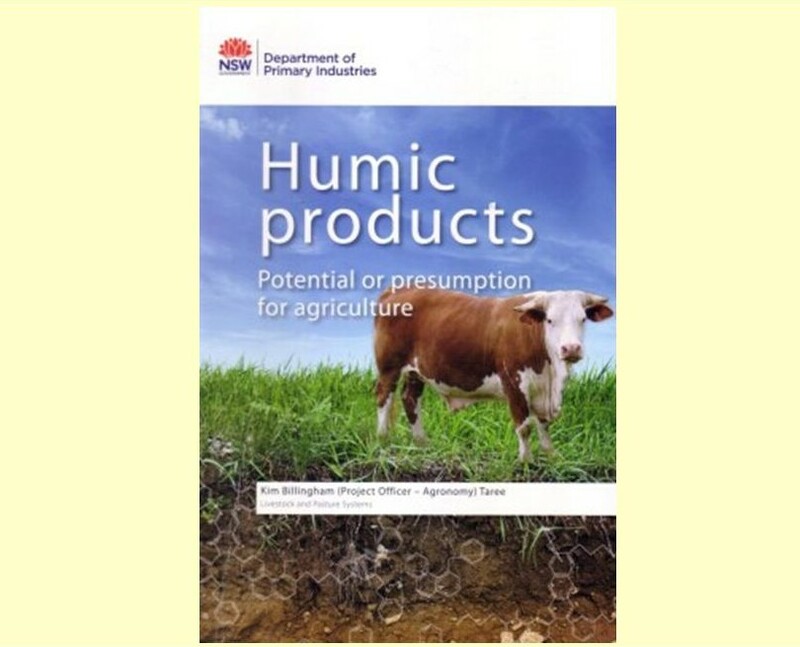 She commences with the statement that the use of hormones and antibiotics “…is an integral part of conventional meat production in Australia” but provides no qualification to justify it. Neither of these is used in beef and lamb production off pasture in southern Australia. The review of intensively housed pigs and poultry is reasonably accurate but has not caught up with the changes taking place in these sectors. More eggs from barn laid and free range hens are sold compared to caged hens eggs; pregnant sows stalls are being phased out; and most grower pigs are now reared on soft bedding rather than concrete. The bedding from pigs and poultry and manure from cattle feedlots is becoming an increasingly import crop fertiliser and labile carbon source for soil microorganisms in conventional as well as organic broadacre farming. 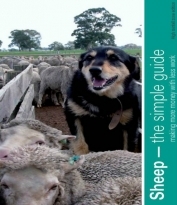 Her coverage of the Model Codes of Practice for animal welfare is insightful and highlights two important points, firstly many people trust that governments have set high standards for animal welfare, but don’t understand the Codes are just guidelines and so are not enforceable. Loughnan’s chapter about genetically modified foods “Playing God” is interesting but littered with inaccuracies. She refers to the “drought-resistant gene” but there is no one gene for drought resistance, a host of genes impact on drought tolerance and as such will be impossible to make such a claim. She confuses readers about glyphosate resistant (Roundup Ready) GM crop varieties suggesting its use is for lifting yield when it is really about easier weed control. The yield increases achieved in Roundup Ready canola varieties is also happening in non GM varieties. Her arguments about corporatization of world seed supply is accurate and points made about the GM variety threat to smallholder farmers in developing countries need to be recognised. Her analysis of farm ownership suggests “…a shift from the small, family-owned farm to much larger operations, or indeed the takeover of farms by large corporations or multi-nationals”. This needs further analysis for the real story. Family farms are becoming larger, nothing new there, it’s been happening since the 1970’s. Take-over of family farms is not happening to an unusual degree. Corporations have been constantly buying and selling farms in Australia since settlement. What has become more apparent is that once the land capital appreciation factor is nullified as has happened in the last five years, corporate investment slows considerably. Return on investment in farming is highly variable and is generally not in itself enough to attract capital. Astute, progressive family farmers can ride out this variability over decades, investors cannot. Foreign investment in Australian agriculture is more interested in food processing and logistics which are far more stable businesses and can take a greater share of the consumer’s food dollar. Loughnan’s description of farm businesses tends to be associated with the “salt of the earth” stereotypes of the 1950’s and 60’s, rather than market orientated, holistically thinking family farmers that produce the majority of all commodities today. She claims “Small scale, traditional farmers are the primary source of wisdom about the land they farm. Decades of daily experience can’t be found in a textbook”. This statement seriously undermines the author’s credibility as nothing can be further from the truth about modern agriculture whether or not it is conventional or biologically based. Successful farming in all its nuances is generally based around constantly improving knowledge, marketing skills, environmental improvement and increasing scale. Without scale, with terms of trade constantly declining farming becomes a lifestyle pursuit which must be supported with outside income. In fact, it can generally be concluded that small scale, traditional farmers were responsible for much of the land degradation seen across cropping, dairying and sheep districts from the 1950’s to the 1980’s. On trade and globalization, then on the environmental impact of food production on the environment Loughnan continues to make some outlandish statement and predictions, such as there will soon be no dairy farmers left. Or, “Soil biota is killed off by the application of synthetic fertilisers and pesticides. Over time, the soil structure becomes so poor it cannot sustain plant growth.” This is wrong and is not backed by experience, even in long-term fertiliser trials conducted in Australia and overseas. Despite the author making some inaccurate and debatable statements “Food shock” is worth reading because of the breadth of topics covered. It provides an insight into the thinking of a small but increasing proportion of consumers who are looking for credence characteristics with the food they purchase. It is a book that secondary and tertiary students could read as a basis for entering into debate about future food quality and farming systems. I thank Patrick Francis for his review of my book, Food Shock. As he rightly points out the book touches on a vast range of interconnecting topics around food production and consumption in Australia. I agree it is a complex topic and requires more space and in-depth investigation than possible in 280 pages. However, my aim in writing the book was not to provide a definitive text on the topic, but to prompt consumers to think about where their food comes from and how it is produced. The vast majority of consumers in Australia haven’t got a clue. 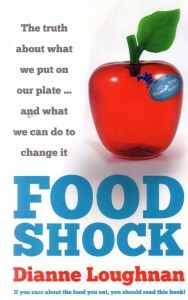 Food Shock provides an easy-to-read overview of this and I hope prompts more questions than it answers. I have taken all care possible in backing my arguments with accurate and up-to-date information. Pardon the pun, but the topic is a moving feast and some things will have changed since the time of writing. I will take up just a couple of points Mr Francis raises. He contends that I contradict myself by stating ‘the Australian beef industry has been one of the better performing sectors of Australian agriculture in recent times’ and that ‘beef farming businesses profits have been negative, seven out of the last ten years.’ Both statements are true. This merely demonstrates that, despite poor returns, beef has performed way better than other sectors such as dairy, as I’ve discussed at length in the book. On the topic of farming scale in Australia, I challenge conventional wisdom that ‘big is better.’ Clear reasons for this argument are spelt out as to why increasing scale is not the only option for successful farming. This does not mean I do not support, and acknowledge that successful, modern farmers are those who constantly improve knowledge, marketing skills, financial management, environmental management etc – no matter what their size. For anyone wanting to investigate the topic further, Food Shock is thoroughly referenced and provides a springboard for further research which I encourage. I also hope it promotes useful debate within the conventional farming community about the direction food production is taking in this country.